Bread is one of the main foods people all over the world consume on a daily basis. Bread can be made from different types of flours. And on this list, I even included one bread that doesn’t contain any flour, so it is gluten free. Many people ask them self if it is bread vegan? And the question is for a reason. Many bakers in some type of bread add milk. And if bread contains milk then it is not vegan bread. Also, many people think that yeast is not vegan, but yeast is not derived from animal and since it has nothing to do with animals it is considered vegan. So next time you hear someone asking is yeast vegan tell him that yeast has nothing to do with animals. If you have time and enthusiasm, you can bake homemade vegan bread. By baking it on your own, you will be sure what is inside. Many bakers sometimes use additives, chemicals and other ingredients that you should better avoid if you have concerns for your health. Below you can see my favorite recipes for vegan bread. 1. Mix flour and milk or water in a saucepan. Put the stove on medium heat, whisk until the mixture is smooth, without any lumps or reaches 149 degrees. Set aside and let it cool. 2. Heat soy milk to 110 degrees. Add yeast and 1 teaspoon of sugar. Leave for 10 minutes until mixture starts to bubble. 3. Put the yeast mixture into a bigger mixing bowl, add Tang Zhong which shouldn’t be hotter than the yeast mixture. Add in egg replacer, sugar, salt and whisk until smooth. 4. Add flour slowly, adjust the amount as you go. Add a small amount of flour at a time, mix together completely, then add more until you get a dough ball. 5. Take the dough out of the bowl, knead on a flat surface until slightly tacky. Rest for 10 minutes. 6. Add half a tablespoon of vegan butter at a time, incorporate slowly in the dough until smooth. 7. Form the bread dough into a round ball, put it into a bowl, cover with a damp towel, leave to rise for 1 hour. You can put the bowl into the oven and leave the door slightly open, be careful it’s not too hot. 8. Divide the dough into three sections and form balls. Roll each ball into rectangle shapes and make the rolls. 9. Grease the pan, place in the rolls, let them rise until doubled in size. 10. Set your oven to 350 degrees to preheat. Put the vegan bread in and brush the top with syrup mixture. 11. Bake for 20 to 24 minutes until golden brown. Brush the rolls again with syrup mixture to become glazed. 12. Let it cool and enjoy your delicious vegan bread. Quinoa Chia Bread is a very delicious bread that is first of all gluten-free, sugar-free, egg-free, dairy free and it’s very high in protein. 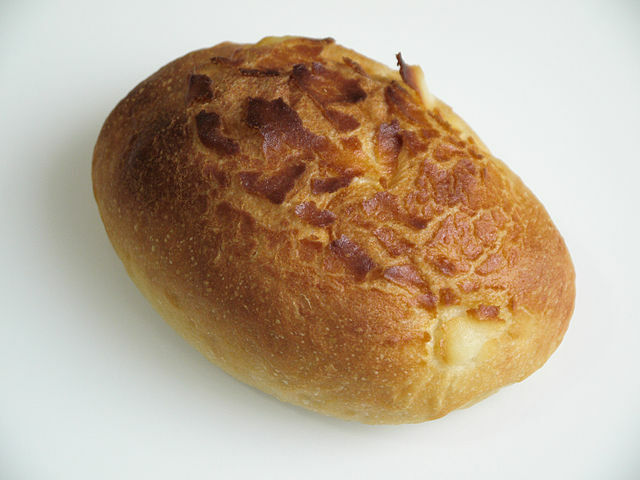 It resembles regular baked bread, but it is denser than regular bread. Quinoa bread is not made using flour, and it also does not rise much when baked. It is very light but has a lot of nutrients and keeps you nourished for a very long time. There are many ways to eat it. Most people like it for breakfast with avocado dip but can also be taken throughout the day as a snack. You can also eat it with sliced bananas and sprinkled with maple syrup. Very delicious. 1. Do NOT use rolled quinoa. 2. Start your recipe the night before and soak the quinoa and the chia seeds overnight in water. 3. Make sure to use a food processor for the bread mixture and not a blender. 4. You can use coconut oil in place of the Olive Oil. 5. Also, apple cider vinegar can be used in place of the lemon. 6. You can add many other things to the quinoa bread like grated vegetables. Also, thyme and rosemary can be added for their delicious aroma. 7. Be very gentle with the heat when you bake it. 8. The quinoa and chia mixture can be used as a pizza base and also to make pancakes. 9. Sunflower seeds and pumpkin seeds are a fantastic garnish for the bread. 10. Quinoa bread can last in the fridge for about a week and up to three months in the freezer. 11. Slice the brad only when cold with a serrated knife. 12. For the pizza, you can use dried tomatoes and roasted pumpkin pieces. A great recipe for all Vegans. Pumpkin Bread is non-dairy and uses organic ingredients. Ingredients are very simple and do not need great preparations. The dry ingredients start with the flour, organic sugar, baking soda, salt and apple pie spice. Having all the dry ingredients, you just put all of it except the natural sugar in a mixing bowl. Cover the mixing bowl and mix the ingredients together. I had to buy a new blender for this recipe, I compared some blenders and came up with this: best blender for the money. After preparing the dry ingredients, you are now ready to make the rest of the ingredients which is the pumpkin, olive oil, organic sugar, yogurt, and water. By the way, you use soy yogurt instead of egg. You can mix all the ingredients together using a mixer. You can check out the video for a step by step instruction. After all the preparation is done, you are now ready to bake your Pumpkin Bread. Bake it for an hour or more until it is nicely done. * Use a Kitchen thermometer probe to check if your cake was cooked on the inside. How to do it? Just insert the probe into your bread all the way in the inside, and if the reading is 200 then your bread is cooked or done, but if it reads less than 200, then it means that you have to put it back to the oven for a few more minutes until it is done. * Crack at the top of your bread or cake means uneven heat while cooking. The reason for this is because your baking pan slides all the way towards the back thus the unequal distribution of heat happens. To avoid this, wrap the oven rack with a foil and then put on a small mat for baking which will secure the baking pan from sliding. This will keep the baking pan in the center of the oven where it will be cook with even heat. Now you know my favorite vegan bread. I hope you like them. If you know, some other good vegan breads that I can try let me know. Also if you did bake some of these bread I mentioned above, please share your experience. Was it good? Did they taste good?